Polish poet and author who rose to literary prominence during the post-World War II period. His literary works include Napis (Inscription) and Studium przedmiotu (Study of the Object). He received a law degree from Nicolaus Copernicus University in Torun. He was the 1973 recipient of the Herder Prize in literature. 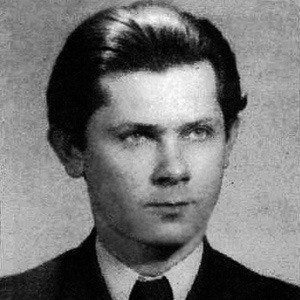 He married Katarzyna Dzieduszycka in 1968. He was distantly related to Anglo-Welsh poet George Herbert.